Quantumitinnovation is a leading Android app development company developed 100+ Android apps for all the latest versions of OS such as Android KitKat, Lollipop, Marshmallow, Oreo etc. We helped companies transform their ideas into high-impact mobile apps that people love to use. We promise to deliver secure, efficient, fault-tolerant, and usable Apps on-time and on-budget with a meticulous combination of processes and tools. Our android apps are highly human-centric design. We develop apps that not only have the great design but integrating it perfectly with the backend makes the app an eye-catching product. We deliver it with highly skilled UI & UX app designers and well-versed programmers. There are 3.6 million Android apps present in the Google Pay Store till March 2018. There are 2 million apps available on the Apple app store at present. These statistics say how important and necessary the app development in the future and it consistently increases with time. Idea is the most essential part. We transform your idea into amazing Android Application. With materialistic design we make eye catching and realistic user friendly Apps. We uses latest testing technique to check the quality and working to ensure high delivery standards. Post testing, we work launching the App perfectly with endless future support. We develop best coding to deliver perfect mobile apps. Optimized Memory: Light apps with optimized memory utilization and work process. The Native Android app is a specific device platform, it is directly installed on mobile devices and developers need to create a separate version for each device. It uses Android Studio, Google Material, and Java to develop Native apps. Native apps are hardware and Android-specific features that offer the fastest, most reliable and most responsive experience to users but to create an app on both platforms will require two separate developers, which adds to time and cost. 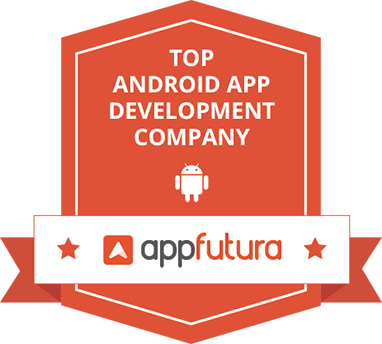 We are the best Native Android App Development Company USA, developed 100+ Native apps. Both of the above mentioned Native and Hybrid app development approaches have their own pros and cons. Our team of experts can help you to out of this confusion in choosing the best platform suit for your business. Why Choose Quantum for Android App Development Services? Customer-Centric Process – We offer efficient, tailored solutions for your business and a transparent work-flow, allowing all our clients access to the project under development with regular updates. Third Party SDK Integrations – Android, being a popular OS, has a large catalog of external APIs. We use this profound feature to integrate third-party services into your customized app. This allows for greater clarity of the project ensuring timely delivery and great quality. With offices in India, UK, and the USA, we are an Android app development company USA that caters to the global client base. We employ advanced methodologies and strategies to provide amazing unique app design, iOS app development, Android, Web application development, Cross-Platform, swift, Hybrid and Native app development, SEO Services too. We have a strong team of 30+ talented app designers and experienced mobile app developers who are well-versed to build apps that use a futuristic approach to scale and scope. As we are leading Android App Development Company UK & USA, we build web and mobile apps for every user, every industry, and every platform. No technology is left untouched as we believe in adopting new trends & technologies that change with time and user demands.